I have been madly searching newsstands for the special issue of Domino that was due to come out Spring/Summer 2012. I FINALLY spotted the issue at the airport and promptly snatched it up. 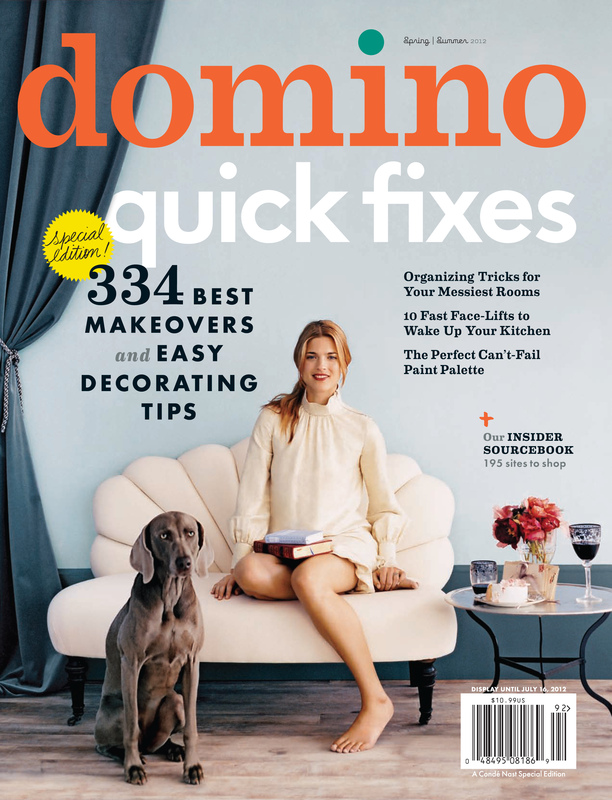 Home decor magazines can be so inspriring for print ideas, and anyone who loved the old Domino knows how amazing their design inspirations were. I was so disappointed with this special issue. After all this time, they recycled many old images from Domino’s past. There were home profiled in the past and nothing new or breakthrough. Ugh. My heart now belongs to www.lonnymag.com!